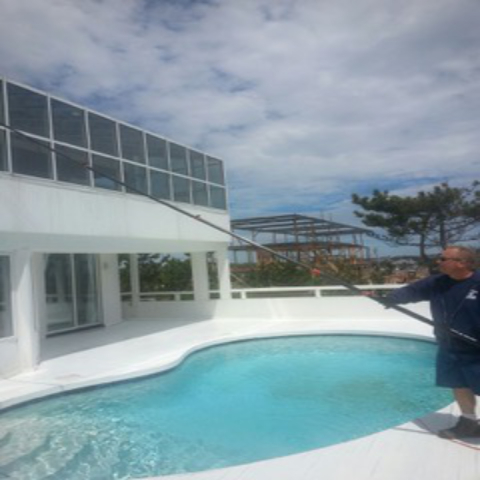 Residential Window Cleaning Nassau & Suffolk County - Sparkle Window Cleaning Inc.
For over 25 years John & Thomas Lynch has been providing the finest residential window cleaning services on Long Island. Sparkle Window Cleaning’s professionally insured team can handle any size home or type of property. From the minute we arrive you can see the Sparkle Window cleaning difference, We only use top of the line equipment inside your home we always wear shoe covers, lay blankets on your floors and use thick neoprene bonnets on all of our ladders to protect all of the surfaces of your home. Thoughtful consideration and attention to detail goes into all aspects of the residential window cleaning services we provide. As always your satisfaction is 100% guaranteed. Contact us today and experience the Sparkle Window Cleaning difference. Your home is a reflection on you. Over the course of the year, your windows can attract a lot of dirt, negatively affecting the curb appeal of your home, as well as impacting the amount of natural light that makes its way into your home. For many homeowners, this task is simply too tedious or it isn’t at the top of their favorite things to do. The good news is Sparkle Window Cleaning can take on this task for you. You will be able to enjoy all the benefits of crystal clear windows without all the work. One of the biggest concerns homeowners have with their window cleaning is finding the time to do it. When you hire us to handle this important task for you, it will be completed at a time that’s most convenient to you. If you hire us to manage the outdoor window cleaning, you don’t even have to be home when our professionals are there. All of our team members are background checked and insured to guarantee your home is in good hands. We address every job we are hired to do with the same enthusiasm and dedication to your satisfaction. In fact, we guarantee you will be completely satisfied with the work we perform. It’s our goal to make sure your windows are sparkling clean, improving both the aesthetics of your home and the amount of natural light you can enjoy throughout the day.